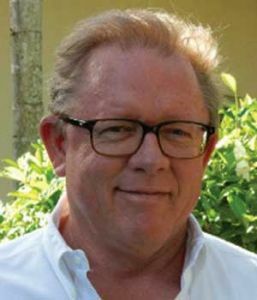 Luke Moorman, President and Chairman of the Board of the Las Olas Association –owner of Carroll’s Jewelers, is a 4th Generation Las Olas Business owner and Las Olas Association member. The Moorman Family has been doing business on Las Olas Boulevard since 1960 and continues to lead the family business into the next generation. The Moorman Legacy was evident early on in Luke’s childhood to follow a passion for service and love of all things Las Olas. 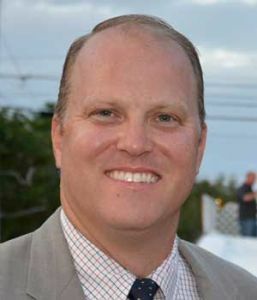 Luke’s leadership came naturally as he took on the role of Las Olas Association President in 2010 and has guide the Boulevard through both small and massive changes over the subsequent years. Luke has his diamond accreditation through the Gemological Institute of American and has the honor of being a Registered Jeweler with the American Gem Society. Luke and his family enjoy many successes in business on and off the Boulevard and continue to grow their family footprint in Fort Lauderdale to insure its validity for the next generation. Stacy Ritter , President and CEO of the Greater Fort Lauderdale Convention & Visitors Bureau (GFLCVB), is responsible for the administration of the GFLCVB including a robust 45-person organization with a $24 million operating budget, providing sales and marketing development that spans leisure, international, sports and convention and group sales, multicultural tourism and LGBTQ development, film and entertainment as well as national and international advertising and public relations. Prior to her position at the GFLCVB, she served as a Broward County Commissioner from November 2006 until June 2016, representing the 3rd District, and serving as Mayor of that Board from 2008 to 2009. 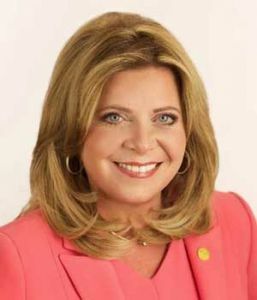 Prior to serving in Broward County government, Ritter served as a member of the Florida House of Representatives from 1996 to 2004, representing the 96th District. 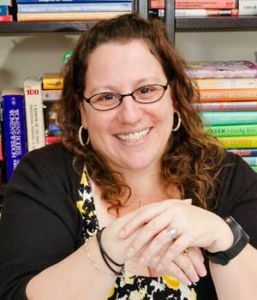 April Kirk, Executive Director of the Historic Stranahan House Museum, the city of Fort Lauderdale’s oldest and most historically significant landmark, joined the museum in May of 2011 and oversees all the museums operations including management, fundraising, marketing, and programming. With nearly 20 years of nonprofit management experience, April was recognized as an Outstanding Fundraising Professional by the Association of Fundraising Professionals in 2017. April serves as the Secretary and Marketing Chair for the Las Olas Association. 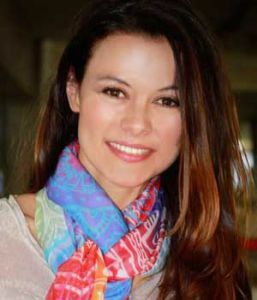 She is also a District IV appointee to the City’s Community Services Board, the Co-Founder of the Native Reel Cinema Festival (the only Native American Film Festival in the Southeastern United States), and serves on the Board for Mockingbird Trail, BikeWalk FTL, and the Broward Trust for Historic Preservation. When not working on community projects, April is an accomplished artist and was selected as the 2017 Winterfest Boat Parade Poster Artist as well as shown her artwork in Fort Lauderdale City Hall. Caroline Carrara*- Vice President, Managing Broker EWM Realty International has enjoyed more than 14 successful years of real estate management. Her fifty+ agents are involved in residential and commercial real estate sales and leasing in the Greater Fort Lauderdale area. Prior to her real estate career, Caroline managed boutique hotels in Miami Beach for more than ten years. On Miami Beach, she was heavily involved in its Chamber of Commerce, Entertainment and Hospitality Committees and the South Beach Hotel and Restaurant Association. Having lived in Europe, Central America and New York, I related to people from all over the world who came to claim their corner of our incredible sunshine.” Being the manager at the EWM Las Olas office affords Caroline many networking opportunities. She continues her community affiliations by attending Realtor events and project launches. She now serves as the Treasurer Sixth year on the Board for the Las Olas Association (an organization whose purpose is to promote and publicize East Las Olas Boulevard as a shopping area and establish its place and status in the community of Fort Lauderdale, as well as encourage such civic functions and social and cultural events.) 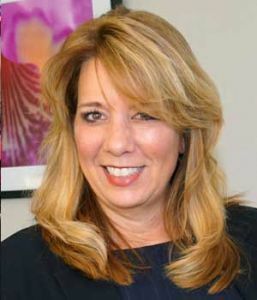 This Association also encourages “a spirit of cooperation among its members as well as compiles and distributes business information to its members for their benefit.” This supports her role at EWM Realty International – to ensure that EWM’s Las Olas office, through Caroline, is well-represented in the community where it is centrally located, and her agents conduct business. She is heavily involved in her Realtor Community at a Local, State and National Level. She has been a Florida REALTOR Director since 2013 and served on various State committees. This year she is proud to serve on the NAR Professional Standards Committee and as a Corporate Director of the Realtors of the Pam Beaches and Greater Fort Lauderdale Realtor Association. 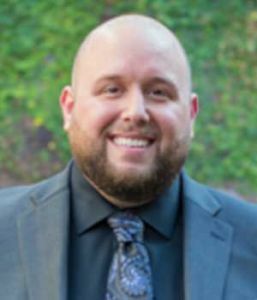 Adam Robin, General Manager of Louie Bossi joined Big Time Restaurant Group in 2017. Previously, he was with Giordanella Holdings, LLC where he was the Director of Operations and oversaw the company’s Cabo Flats brand. Prior to that, he was part of the opening team at Vic & Angelo’s as well as The Office in Delray Beach. As General Manager of Louie Bossi’s, Robin is responsible for managing restaurant operations and overseeing staff. Adam graduated with honors from Florida Atlantic University, with a degree in Political Science and International Business. In his free time, he loves to cook, visit vineyards and eat at the best restaurants across the nation. Adam recently received his Sommelier Certification from Court of Master Sommeliers. Hot Tomatoes, Las Olas and Cafe Del Mar a 220-seat restaurant on Ft. Lauderdale Beach, where I worked myself up from being a bartender and server. Have been on the restaurant industry for 13 years and was 4 years in the retail industry in New York City at Barneys New York. Erica is also a certified yoga instructor and holds yoga classes on the beach. Charlie Ladd* Owner, Barron Leasing Co: Current LOA Board Member seeking re-election. President of Barron Real Estate. Involved with ownership and leasing on Las Olas since 1996. Current properties include 250 front feet on south side of Las Olas between Tommy Bahama and Louie Bossi, 300 front feet on north side of Las Olas straddling SE 10th Terrace and 200 front feet on Las Olas on east side of SE 12th Ave. Many of these properties will be redeveloped and/or remodeled and re-tenanted over the next two or three years. Integrally involved in bringing such retailers and restaurants to Las Olas as Louie Bossie, Alex & Ani, Blue Mercury, Tommy Bahama, Big City Tavern, and others since the 1990’s. Currently a member of numerous boards and organizations including Downtown Development Authority, POLO, and Downtown Coalition. Have been heavily involved in Downtown and Las Olas improvement efforts in the past through participation in numerous planning efforts including Downtown Masterplan, 2nd Street streetscape project, city visioning committee, city streetscape committee, Board of Adjustment, and others. 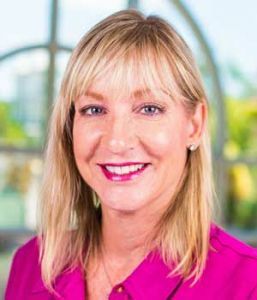 Jodi Jeffreys-Tanner, Las Olas Capital Advisors is a native Floridian and has spent most of her life in Fort Lauderdale. She has been married to Paul Tanner for 21 years, with whom she has 3 sons, Jerrod, Stephen, and Garrett. 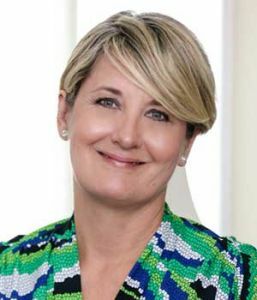 Jodi is a Founder of Las Olas Capital Advisors, a wealth management firm located on Las Olas Blvd. She is also the Founder and Curator of Las Olas Capital Arts, a not for profit entity that celebrates and supports local and emerging artists and advocates for the cultural arts in South Florida. In its three years Las Olas Capital Arts has shown to be an incredible support system for the cultural arts in South Florida and is currently hosting its 10th solo exhibition. Las Olas Capital Arts chooses artists that not only showcase their beautiful art but use their platform to bring awareness to issues within their local communities or abroad. Jodi hopes that the model she has created can help lead the way for many other businesses to support the flourishing arts that South Florida has to offer. She currently serves as Chair of the Broward Cultural Council, is a Board Member of the Las Olas Association, and is active with organizations such as Rio Vista Community Church, Jack & Jill Children’s Center, and the Elon University Parents Council. Alice Harry, Event Sales Manager for Timpano Italian Chophouse, is directly responsible for marketing and selling the private dining space for Timpano on Las Olas. She negotiates Event Proposals for groups of 2 – 500 and handles all local marketing campaigns and relationships with industry partners. Alice is involved in multiple downtown Fort Lauderdale boards including Winterfest, Riverwalk, and Museum of Discovery and Science and volunteers with Pinion, Inc.., a local 501c3 non-profit that conducts charitable drives and social events to raise funds for Special Olympics of Broward. 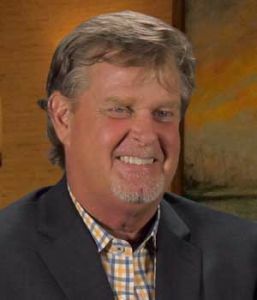 Mike Weymouth President, The Las Olas Company is a shareholder and the President/CEO of The Las Olas Company, a family owned company that has been involved in hospitality, real estate development and management since 1935, and I am the fourth generation to run it. The Las Olas Company actively manages the 231 room Riverside Hotel and almost 255,000 square feet of retail and commercial space on or about Las Olas Boulevard. Prior to taking over the day to day operations of the organization, I ran my own real estate and construction business for 10 years and prior to that, I was in the development business with some local and national companies, specifically being Blockbuster Entertainment, Trammell Crow Development and CMC Development. I was born in Lake Forest, Illinois and resided in the Chicago area for 7 years and Europe for 8 years before permanently moving to Fort Lauderdale in 1975. I graduated from Nova High School, received a BBA from the University of Miami and an MBA from Nova Southeastern University. I am fluent in English and Spanish. I have a Florida Real Estate Broker’s License and a Florida General Contractor’s License. My civic activities include currently serving in a variety of capacities on the following boards: Fort Lauderdale Downtown Development Authority; Broward Workshop as Secretary; Junior Achievement; Unsafe Structures Board for the City of Fort Lauderdale (past); City of Fort Lauderdale’s Reapportionment Committee (past); City of Fort Lauderdale’s Planning and Zoning; Riverwalk Trust; Fort Lauderdale Executives Association and Winterfest Boat Parade. My personal biography is that I am married and father of two boys and three step children. My personal hobbies are boating, fishing, diving, golf and softball. I also enjoy travelling, both locally and abroad. I also am very proud of being named the 2015 Downtowner of the Year by the Downtown Council of the Fort Lauderdale Chamber of Commerce and the City of Fort Lauderdale’s 2016 Distinguished Citizen of the Year. 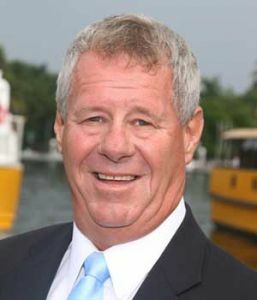 William Walker (aka Bill Walker), Principal Water Taxi of Fort Lauderdale has a proven track record leading successful ventures in business, the marine industry and, public service. This 150-employee business, focused on guest services and excellent marine practices, has a proven track record of safety and reliability. These experiences transporting guests for public services, and private ventures, along with marketing have created excellent brand recognition. Financial management, budget preparation, human resources management, Government interaction and implementing growth in the marine industries are some of Bill’s strengths for success. Water Taxi was purchased in late 2007 with a focus on branding, growth, community and, corporate partnerships. 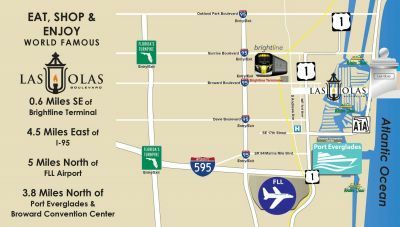 It has become the signature service in the Fort Lauderdale/Hollywood area as a tourist destination and private transportation system. We have developed a system with multiple stops that allow the local businesses and Water Taxi to give guests a great experience at destinations along the waterways. Strategizing with employees of Water Taxi on how to be the “ambassadors of Fort Lauderdale” has set this company apart from the many other tourist attractions in South Florida. Implementing growth in the business through marketing and partnerships with local businesses and government has been a win win for Water Taxi and many businesses and destinations in and around Fort Lauderdale and Hollywood. Some examples are providing direct transportation to relieve traffic and enhance the guest experience for events such as the 4th of July and the Fort Lauderdale Boat Show. Working closely with businesses along Las Olas and the waterways to enhance the visitor or local experience and options is one of the best ways to bring added value to our guest. 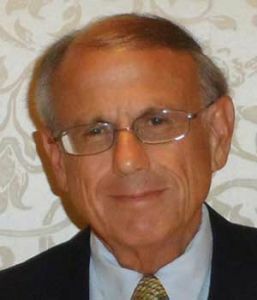 Stan Eichelbaum, President of the Downtown Fort Lauderdale Civic Association, President of Planning Developments, Inc./Marketing Developments, Inc., is a well-known civic activist with more than 30 years’ experience in planning, research, financial analysis and marketing. Stan brings a planning and marketing background responsible for the merchandising and design vitality of projects in 48 countries and advisory to 14 municipalities. His strategic planning has been credited for success in major global successes from Faneuil Hall in Boston to the first city within the city in Dubai and at the time the largest single retail project expansion undertaken which successfully attracted almost 100 stateside retailers into their first off shore expansion. He has also led strategic planning on several of the most noted turnaround efforts in the retail industry including breathing extraordinary new life into the oldest shopping center in Central America and numerous other major successes. He also served as advisory for the City of Portland, Oregon during its renaissance. He chaired the first global waterfront development conference in Abu Dhabi and has lectured at conferences and universities worldwide. In addition to preparing many award winning marketing strategies and creative initiatives that have helped cities and projects sell themselves, his companies, Planning Developments, Inc./Marketing Developments Inc., have supported over 9 billion dollars in retail projects over the years in planning and attracting successful tenant mixes and consumer response. His firms have been noted for creating study methodologies for assessing factors and trends to determine for owners and investors whether a project can prominently sustain itself for the long term.